This course provides Information Security Awareness Training covering seven (7) ‘Foundational’ subjects. The course is mandatory for all UN ICT users. 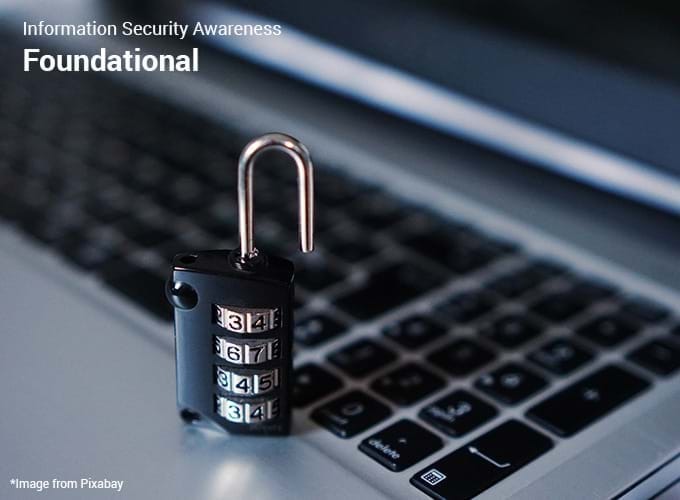 Following completion of all seven (7) course modules, take and complete the assessment module in order to obtain Information Security Awareness Foundation certificate. Your certificate will be available following successful completion and passing the assessment. Optional: After you have obtained your Foundational Certificate, you may take the ‘Advanced’ and ‘Additional’ level courses. These courses may be beneficial, but are not mandatory for UN ICT users.